A Gorgeous Day at Bruichladdich! Nose: Young Sweet Peat, Fish on the BBQ, light Brine, light Tar, light Ashes, light Leather, Straw, Buttered Toast, Peanut Butter, Olive Oil, Lemon-Pepper, Mandarin Juice, Canned Pear, Canned Pineapple Slices, Caramel, Salt & Pepper. The Alcohol is not fully integrated. Not very complex but Well-Balanced. I like it! The Mash Tun in Action! Palate: Young, slightly Edgy and a bit Thin despite the 46%. I find Sweet Peat, Cold Smoke, light Tar, light Ashes, light Brine, slightly Bitter Oak, Black Coffee, light Plastic, Pepper, Salt, Aniseed, Licorice, light Vanilla, light Honey, Grass, Caramelised Banana, Smoked Pineapple, Barley and a hint of Cinnamon. Winding My Way Through the Wash Backs! Finish: Middle-Long with Sweet Peat, Cold Smoke, Ashes, Salt, Pepper, Licorice, slightly Bitter Oak, light Vanilla, Citrus, Banana, Menthol and a hint of a home-made Cheese-Burger from the BBQ. 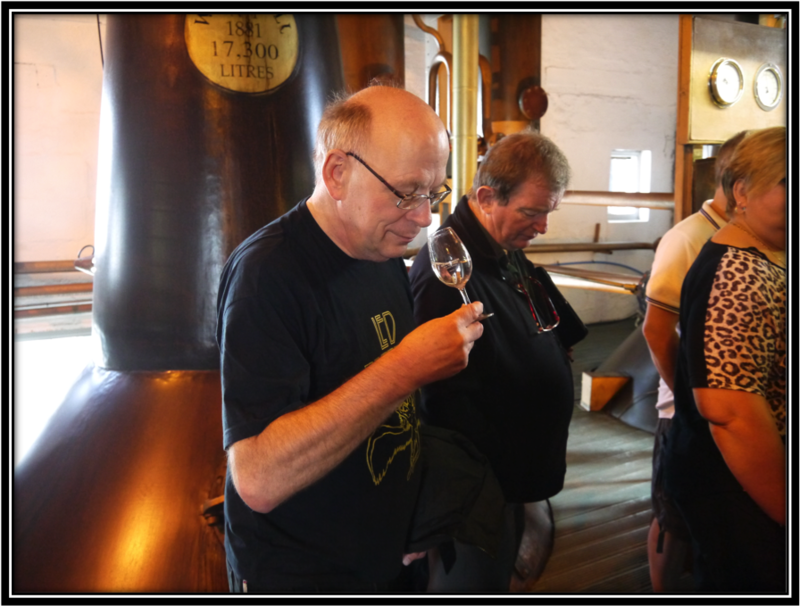 Tasting the New Spirit in the Stills Room! With a couple of drops of water the Nose gets extra Pineapple, Grass and Malt. But Palate and Finish don't benefit from added Water. Better sip it neat! Is the Spirit really Safe with my Brother in Law Around? General Remarks: Peat was part of a trilogy with Waves (Mildly Peated) and Rocks (Unpeated). Waves, Peat and the earlier expressions Infinity and Links were phased out in the beginning of 2012. Late 2013, Rocks was the last of the series to be discontinued. Peat (35 ppm) is not Chill-Filtered and not artificially coloured. 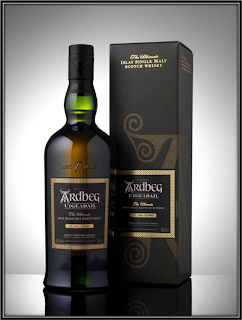 Peat matured for roughly 5-7 years in Ex-Bourbon Casks selected by Master-Distiller Jim McEwan. It was priced at an average 60 US Dollars in late 2012. Conclusion: This is a peated Single Malt alright but quite different from more Medicinal Malts like Ardbeg or Laphraoig. 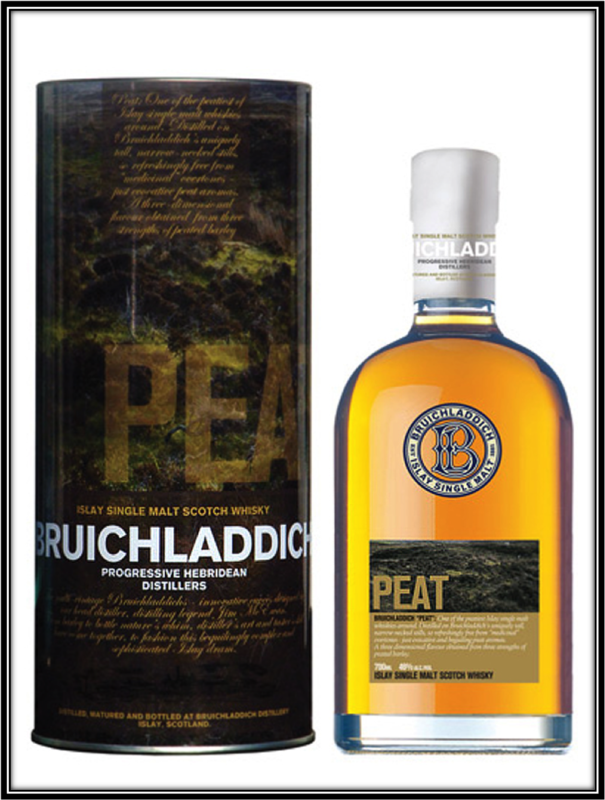 The Bruichladdich Peat is more about Sweet Wet Earth if you know what I mean. And with additional Fruit, Fish, Salt and Spices to give it sufficient balance. I like the Nose. But on the Palate and in the Finish the Bruichladdich Peat is a bit Young and Edgy and I don't particularly like the Bitter Oak component. 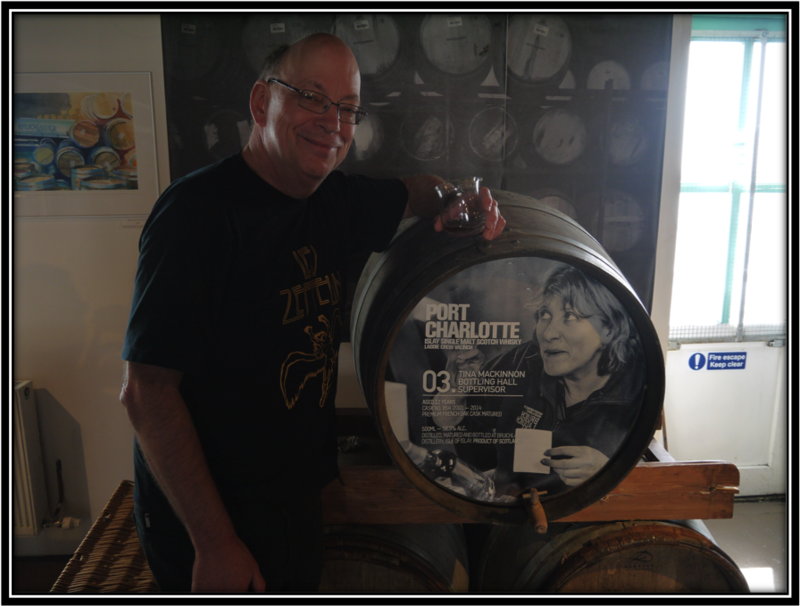 Still, if you like peated Whisky and you are able to find it around somewhere, you should check it out! The Bottling Facility at Bruichladdich! Some Data: Bruichladdich means The Shore Bank. The Distillery is located alongside the the A 847 (Bridgend - Portnahaven) in the little village of Bruichladdich, overlooking Loch Indaal. It was founded in 1881 by the Harvey Family from Glasgow. 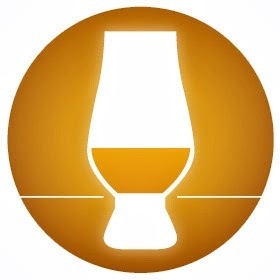 It changed hands for a couple of times until Whyte & Mackay Ltd bought the distillery in 1993 only to close it down until it was bought in 2000 by a couple of private investors headed by Mark Reynier who brought new life to the Distillery, profiling it as " The Progressive Hebridean Distillery" and introducing many special bottlings. 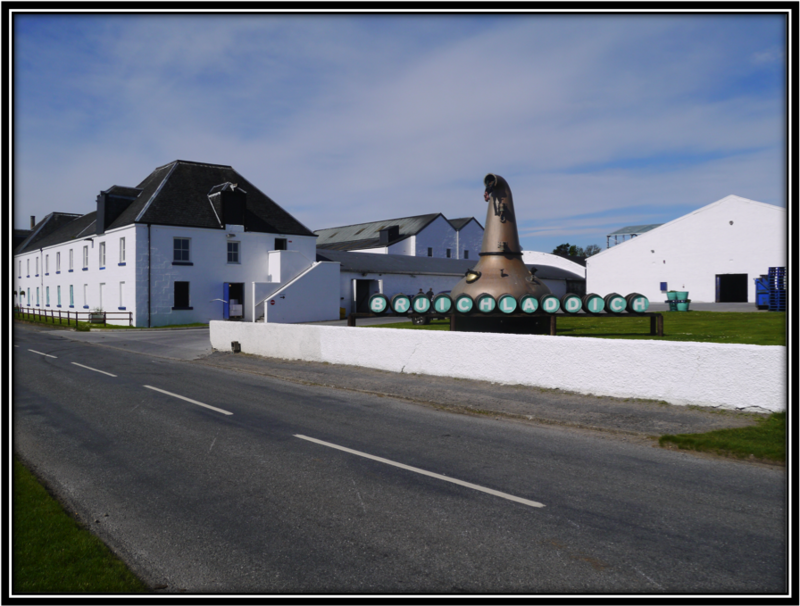 In 2012, Buichladdich was sold to Remy Cointreau from France. 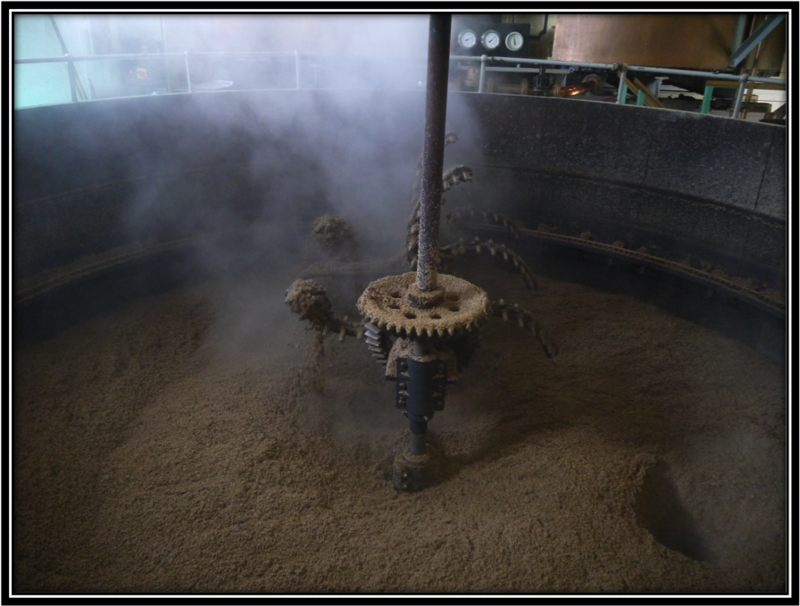 The Distillery possesses a open cast iron Mash Tun, 6 Wash Backs (Oregon Pine) and 2 Pairs of Stills. 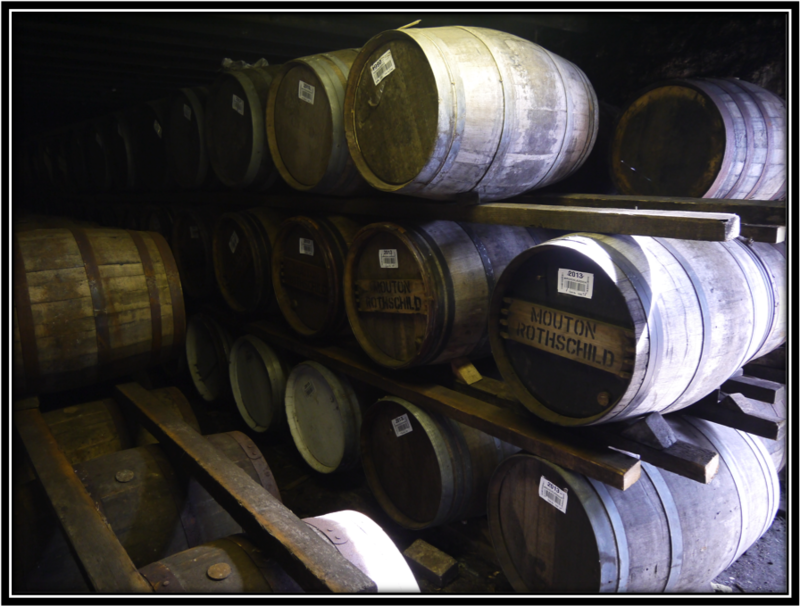 In 2013 their total production capacity amounted to around 1,5 million litres, basically sold as Single Malt. A Private Concert at the VC: Caledonia! The water for the distillery is sourced from a Loch in the hills close to the Distillery (Mashing) and a Spring on the Octomore Farm (Bottling). 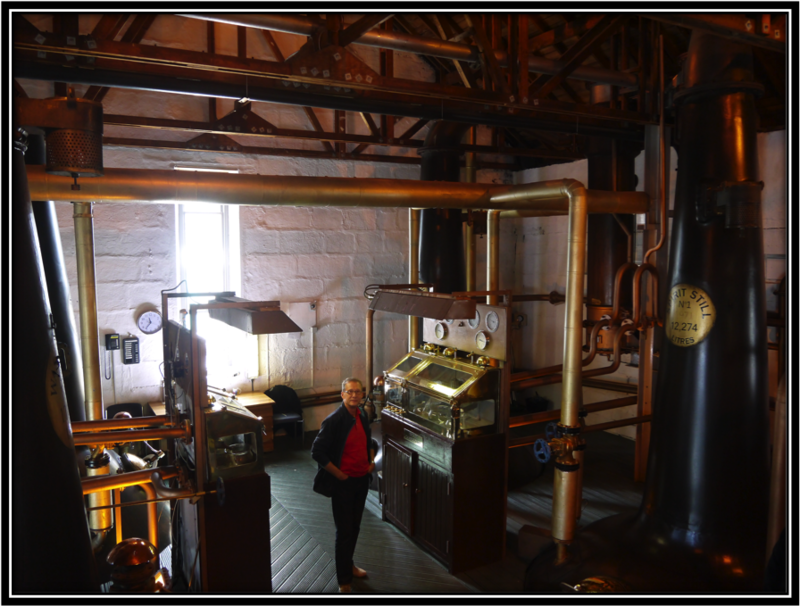 The Distillery opens from Monday - Friday from 09.00 to 17.00 hours and on Saturday from 10.00 to 16.00 (Easter-September) and from Monday to Friday from 9.00 to 17.00 and Saturday from 10.00 to 14.00 (October to Easter). 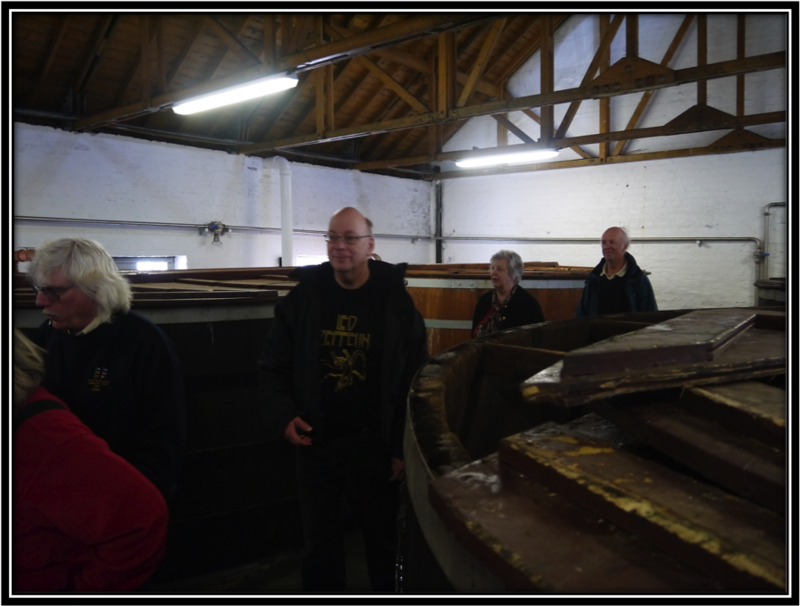 You can do the Standard Tour at 5 Pounds or book extended tours and tastings in advance. The Very Nice Visitor Centre + Shop! 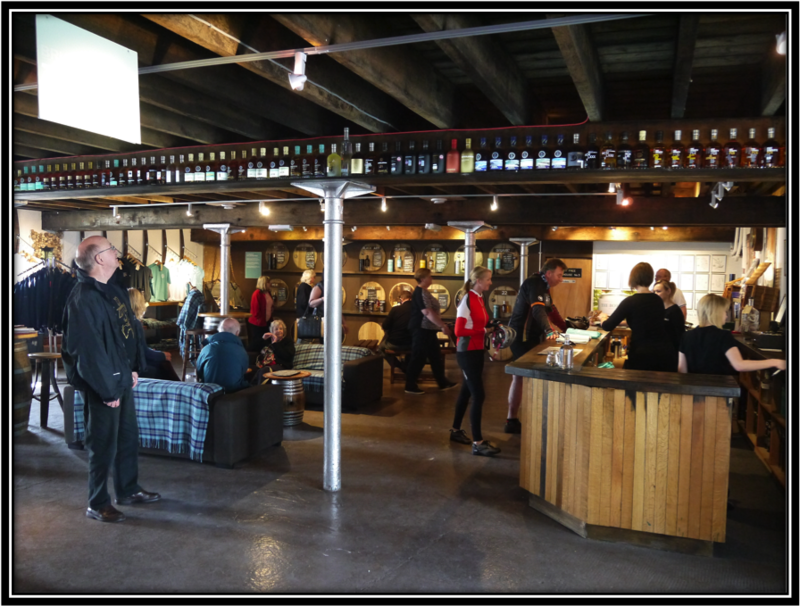 We visited Bruichladdich on Friday May 16, 2014. It was one of the two sunny days we had on Islay and the view from the Distillery towards the Loch is truly beautiful. First we had a look at the very nice Visitor Centre and the Shop. We then did the Standard Tour at 5 Pounds per person. The tour was nice, but not really special. 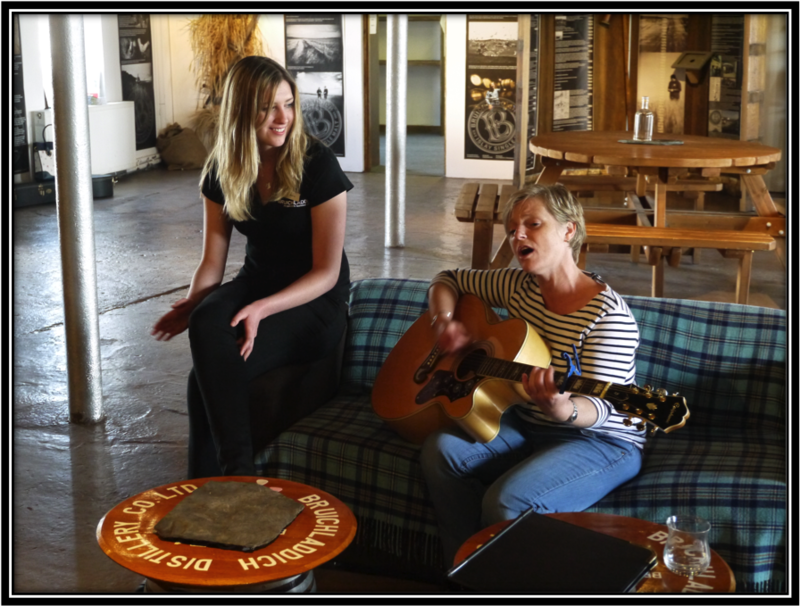 The people at Bruichladdich are really nice and warm and you immediately feel at home there. In this respect I rank it 2nd only to Laphroaig on Islay. At the end of the tour we tasted the Port Charlotte 13 Years that matured on Chateau d' Yquem Casks and the 2006 Bere Barley. 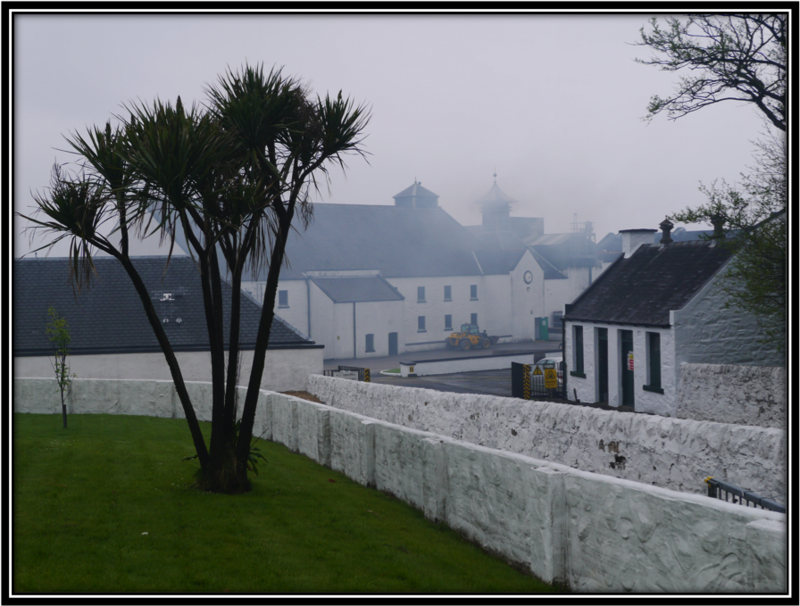 If you can only visit a few distilleries on Islay, Bruichladdich should certainly be one of them!